Following up on his first book, Fundementals of Biophysics, the author, a well-known scientist in this area, builds on that foundation by offering the biologist or scientist an advanced, comprehensive coverage of biophysics. Structuring the book into four major parts, he thoroughly covers the biophysics of complex systems, such as the kinetics and thermodynamic processes of biological systems, in the first part. 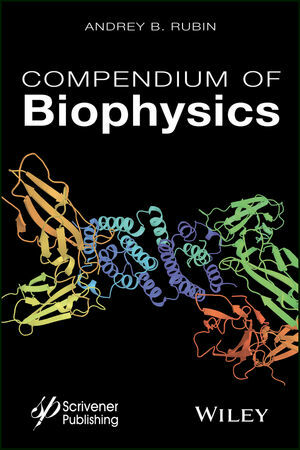 The second part is dedicated to molecular biophysics, such as biopolymers and proteins, and the third part is on the biophysics of membrane processes. The final part is on photobiological processes. This ambitious work is a must-have for the veteran biologist, scientist, or chemist working in this field, and for the novice or student, who is interested in learning about biophysics. It is an emerging field, becoming increasingly more important, the more we learn about and develop the science. No library on biophysics is complete without this text and its precursor, both available from Wiley-Scrivener. Andrey B. Rubin is a professor of biophysics at Lomonosov Moscow State University in the Department of Biophysics. Born in Russia, he is chair of the National Committee for Biophysics in the Russian Academy of Science. He has been head of the Department of Biophysics at MSU, Governor of the Task Force on Education in Biophysics, and a member of the RAS Council on Space Biology and Biological Membranes since 2005. He has received many awards for his contributions to the science of biophysics, and he holds many patents and inventions, as well as having been the author of numerous papers. He is also on the editorial board of the journal, Biophysics, in the Russian language.